The new, valve-free high-pressure spiral pump PlastCoat HP 30 from WAGNER convinces with its easy handling, excellent reliability and maximum performance. This is possible thanks to the combination of robust rotor-stator pump technology and comfortable airless technology. The powerful spiral pump for even high-viscosity fillers sets new standards in terms of pumping performance and operating convenience. It is the first of its kind from WAGNER to also be able to process dispersion paint with innovative HEA technology. 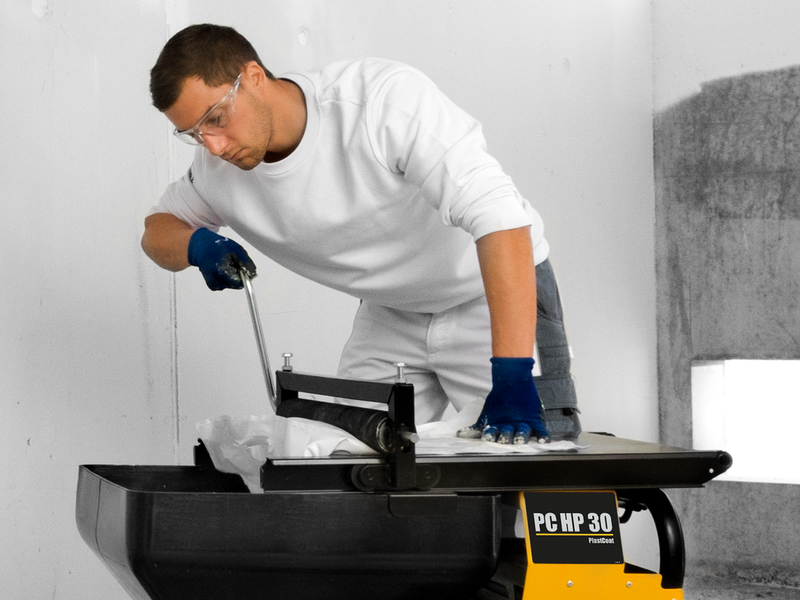 The PlastCoat HP 30 features reliable and proven technology. It is also robust and easy to use. The user-friendly operating concept, as well as the colour-coordinated pressure gauge for regulating the pressure enable problem-free operation. The risk of mistakes is low even for less experienced users. The ergonomic AG 19 airless gun and high-pressure hose, including hose whip, allow easy hose handling, exceptional user convenience and especially low-fatigue operation. 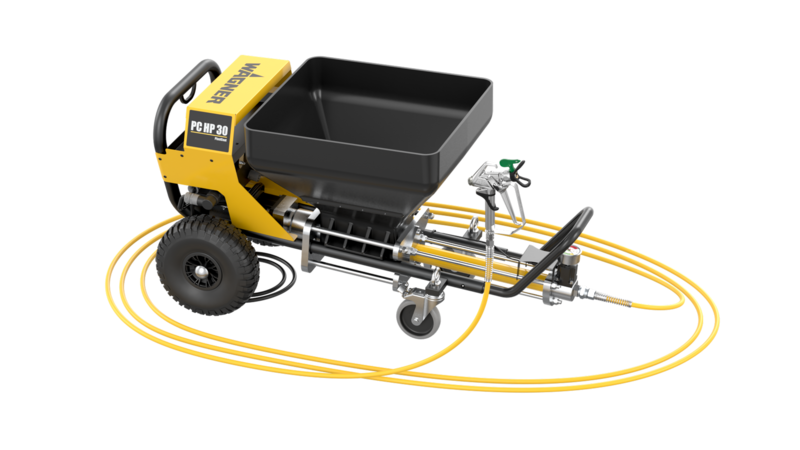 The airless technology offers high working speeds and exceptionally high-quality surface results. The user-friendly operating concept for regulating the rotor and stator allows problem-free use - even for beginners. Conventional spray lances and mortar hoses are heavy and cumbersome. The ergonomic airless gun AG 19 and the high- pressure hose including hose whip are perfectly designed for working with high-viscosity materials and guarantee easy hose handling as well as excellent comfort during use. Spiral pumps are robust and easy to use. 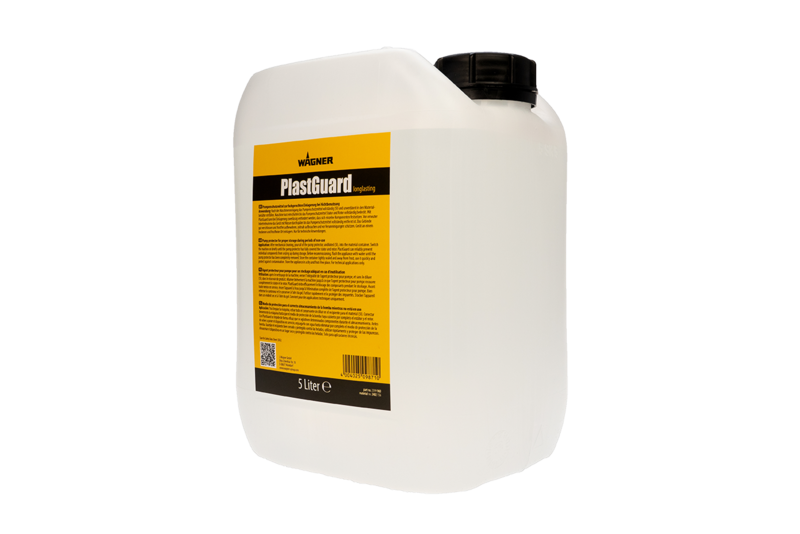 The airless spraying technology also means that high-quality surfaces and fast working speeds can be achieved. The straightforward stator assembly allows rapid dismantling and reassembly of the pump for easy cleaning and maintenance directly on site. The material-carrying parts are also made from especially easy to clean materials. The valve-free spiral pump impresses thanks to its low wear and easy maintenance. 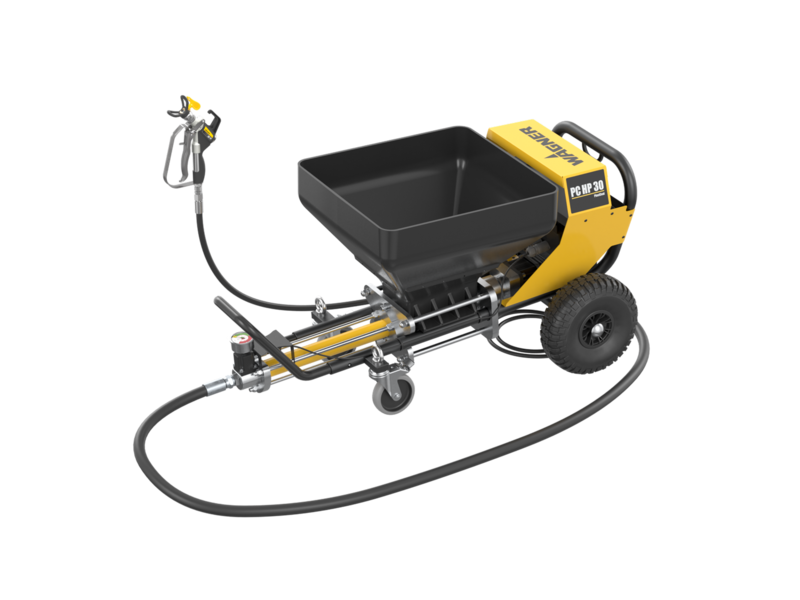 With compact dimensions and large pneumatic tyres, the PlastCoat HP 30 can easily be moved around the site and quickly stowed in a vehicle. The spiral pump can be easily switched to dispersion applications thanks to HEA technology. With the PlastCoat HP 30, virtually any material viscosity and quality can be processed with low wear, downtimes and repair outlay, from paint application to high-viscosity fillers, and always with an excellent standard of performance. Based on decades of experience with airless and rotor-stator pump technology, WAGNER is now bringing together the advantages of both technologies in an innovative, high-pressure spiral pump, creating the ideal tool for the processing of high-viscosity materials. PlastCoat HP 30 convinces with its robust and reliable pump and the comfort and control of airless technology. Thanks to a simple switch-over to the dispersion set featuring HEA technology, both high-viscosity materials and dispersion paints can be applied with excellent surface quality. The separately available press table is a handy tool for the rapid processing of bagged goods on site. 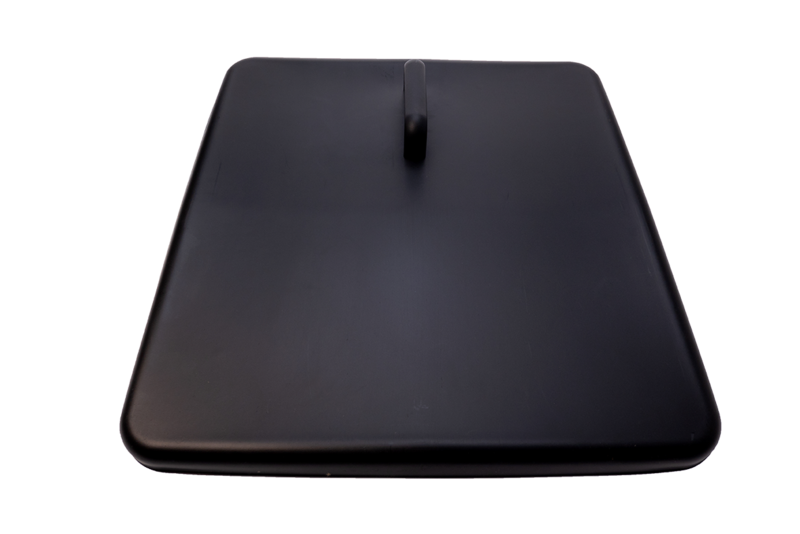 The PlastGuard pump protector ensures professional storage of the device during periods of non-use. The material cover is used to protect against soiling or material hardening during shorter downtimes, preventing nozzle blockages.